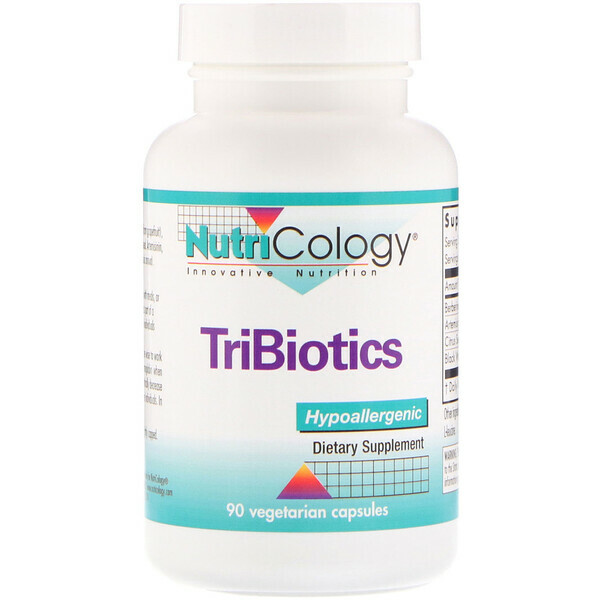 TriBiotics contains berberine sulfate, artemisinin, citrus seed extract (from grapefruit), and black walnut hulls. Berberine is the active constituent of goldenseal. Artemisinin, or qinghaosu, is the active constituent of sweet wormwood (Artermisia annua). 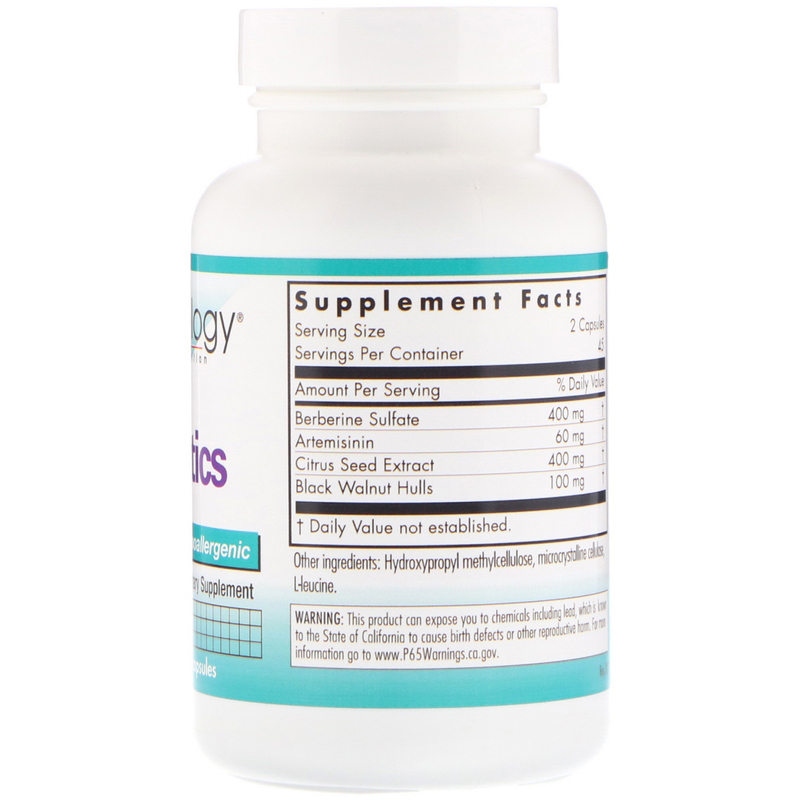 As a dietary supplement, 1 or 2 capsules two or three times daily with meals, or as directed by a healthcare practitioner Artemisinin is best taken as part of a program that includes appropriate liver support nutrients. Sensitive individuals may want to take with food. Caution: Not indicated for pregnant or nursing women. It may be wise to work with a healthcare practitioner to monitor liver enzymes and hemoglobin when using this product. Combining with antioxidants or iron may theoretically decrease effectiveness. Detoxification reactions may be experienced by some individuals In rare cases may cause idiosyncratic liver dysfunction.